9 - Why Choose SpaMedica? Botox injectable relaxes the facial muscles that are responsible for facial movement, thereby reducing and softening the signs of aging such as fine lines and wrinkles. Our medspa in Toronto is one of North America’s leading medspa and cosmetic surgery clinics, with over two decades of experience. Prior to your Botox injectable treatment, a SpaMedica Health Professional will discuss all necessary pretreatment do’s and don’ts during your initial consultation at our facility in Toronto. If you are seeking the best cosmetic specialist in Toronto, then look no further than Dr. Stephen Mulholland. Dr Mulholland, the cosmetic dermatologists and the injection nurses at SpaMedica Toronto will offer you some of the most advanced and effective treatments available. SpaMedica brings together the very best in high-tech medical therapies, with the service and attention to detail of a day spa. Botox Injectable is a purified non-animal protein derived from the bacterium Clostridium botulinum. When expertly injected into selected face and neck muscles, it can induce a temporary relaxation of the muscle, which may help soften unattractive animation lines and may minimize the depressive or “pulled-down” effect of some strong muscles that can negatively affect the vertical position of soft tissue of the brow, cheek and jowl line. The treatment must be administered by a healthcare professional. There is minimal discomfort with this nonsurgical procedure. Botox is a simple protein, manufactured naturally by bacteria (similar to penicillin coming from a mold). The protein sterilized and lyophilized and then reconstituted, again in a sterile fashion by your physician or professional. The protein is made up of two peptides, held together by a disulfide bond. When administered near a selected muscle, the product makes its way to the selected muscle and is absorbed into the nerve that directly results in contraction of that muscle, where it will produce temporary, localized blockade of muscle contraction function. This blockade is temporary and after several months the body has enzymes that break down the compound in its harmless, naturally occurring peptide components. 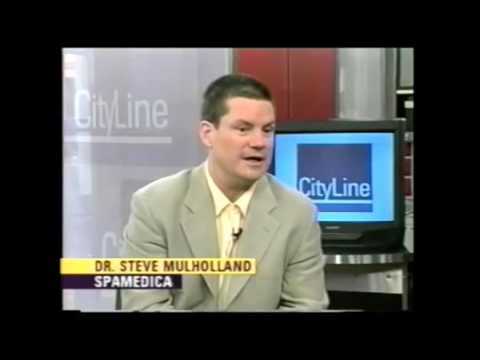 Following a thorough history and physical examination, Dr. Mulholland or one of the SpaMedica experts in our Toronto clinic will discuss the areas of concern with you. The undesirable facial muscles affecting overlying wrinkle patterns will be treated. Generally, the treatment takes about 15 minutes. A very small needle is used, the kind of small needle that would be used to administer insulin to diabetic patients. Topical anesthetic cream and other techniques such as ice or topical air chillers can be used to reduce the minimal amount of discomfort associated with Botox injectable. There is no post-treatment pain following the procedure. Most patients can return to activities of daily living immediately. Botox injectable blocks release of a small chemical from the nerve end plate serving the targeted and intended muscle of treatment. This chemical is called acetylcholine, which is necessary for the muscle to contract once you consciously or subconsciously desire to activate the muscle. It takes three hours to bind to its specific receptors on the muscle and you start to see weakening of the expressive ability of that muscle after three days. The full effect of the injection occurs up to six days and most patients begin to see a very significant softening and smoothing of their undesirable lines and wrinkles and significant elevation of the overlying soft tissue. Injection Sites: What specific areas of the face and neck can be treated? Virtually any animated muscle that causes an unattractive line or wrinkle or pulls down areas of the face such as lip lines, cheek, jowl, neck, and even chest lines can be treated with Botox injectable. The most common areas for treatment are the forehead glabellar area, crow’s feet around the sides of the eyes and the worry lines horizontally across the forehead. These are the three areas that Health Canada has approved for treatment. There are many muscles of facial expression. Patients rely on Dr. Mulholland and his injection team to expertly find the facial animations and muscles that can be treated safely and effectively to produce a smoother and more youthful appearance. Can Botox Injectable be used for other purposes? Off-label applications for Botox injectable include the muscles that pull down the corner of the mouth, called the depressor angularis oris; the orbicularis oris or circular muscle around the lips, which causes smoker’s lines; the depressor septi nasi muscle, which pulls down the tip of the nose, as well as the orbicularis oculi, under-the-eye muscle, that leads to wrinkles under the eye. In addition, it can be administrated to the plastysma neck muscles can weaken necklace lines and tense neck cords. Botox injectable can be used to shrink the very large chewing muscles called the masseter at the back of the jaw. When enlarged can give a very square look to the face, especially in Hispanic or Asian patients. It can also be used to turn off glandular secretions and it can shrink enlarged parotid and submandibular glands when they are visible following neck lift or neck repositioning surgery. It is also used for excessive sweating syndromes such as axillary hyperhidrosis (excessive underarm sweating), sweating of the palm or excessive sweating of the hairline and forehead. It has been used successfully in the neck to soften the necklace lines and to reduce neck cords when they are strong and visible. Is there any aftercare treatment required? The Botox injectable procedure requires no specific after-care. Post-treatment instructions include no rubbing the injected area, exercise, coughing, straining or lying down for the first three hours after your Botox injection. After the initial three hours, patients can then engage in any physical activity and can rub the area without fear or concern. Repeat Botox injectable treatments are needed for long term success. This is not a permanent solution. Are there any risks, side effects and complications associated with the Botox injectable treatments? There is very little discomfort an, in most circumstances, there is little to minimal bruising and the patient can apply makeup immediately afterwards and return to regular activities after three hours. All medical procedures have some degree of risk and there may be complications. Fortunately, in qualified hands, with the necessary experience and expertise, these complications are very rare. The most common side effect and complication is bruising. A delicate technique, perfected by Dr. Mulholland and his SpaMedica injection team in Toronto, will minimize this risk. Other undesirable side effects and complications include dispersion or travel of the product beyond its intended region to affect adjacent or nearby muscles negatively. This is most common above the eyebrow, with dispersion of the Botox injectable over the eyebrow bone and weakening the eyelid elevator muscle. This weakening of the eyelid elevation muscle results in a drooping of the upper eyelid, a phenomenon called levator aponeurosis ptosis. The “droopy eye” may last for two to six months, but the effects can be softened somewhat with topical eye drops. Fortunately, this droopy eyelid side effect or complication is very rare when performed by an expert and when patients follow carefully the post injection instructions. These post injection instructions include, no rubbing of the injection site area, exercise, coughing or bending over should be avoided for 3 hours, after which time any activity can be resumed. Other potential complications include failure to deliver on patient expectations. It is important to realize that Botox injectable is not there to eliminate all lines of animation, but to soften specific lines significantly. Only 50% to 75% softening of lines of animation can be achieved. For Botox Injectable facial shaping and contouring, without strong depressor activity in the face, it is unlikely to give a significant elevation of the soft tissue by the elevators. However, those who have strong depressors, when an Injectable is used to relax them, a compensatory elevation of the brow, cheek, and neck is very common. Facial shaping can be possible with this procedure too. Some Toronto patients complain of vague flu-like symptoms, such as muscle aches, stiffness, headache and even mild nausea for 2-4 hours after the procedure. These flu-like symptoms are treated with Tylenol or Advil and will resolve. Generally, significant wrinkle smoothening and reduction will last for three to four months. Typically the benefits begin to wear off by the 4th or 5th month. Patients generally return to SpaMedica Toronto for a repeat treatment between 4 and 6 months, or 2-3 times per year. Lower concentrations will have less longevity. Some areas, such as upper lip lines and other delicate regions of facial animation, may require smaller Botox injections more frequently, such as every two to three months. They are relatively painless, carry a low risk and little to no side effects, with little-to-no downtime. Dr. Mulholland has been performing the Botox injectable procedure for over 20 years. He has evolved highly advanced and specialized techniques for brow lifting, mid-face shaping, neck contouring, and mandibular bordering. Dr. Mulholland has personally trained Injectable nurses like Audrey Kaufman, RN and Terri Clarkson, RN. They have seen and treated patients for over a decade. They are experts in providing patients with attractive and natural results for common concerns such as frown lines, forehead lines, and crow’s feet. Can other treatments be combined to accentuate results? Your SpaMedica in-office treatment program can be complemented with a number of other noninvasive treatments. Your treatment can used in combination with dermal fillers and non-ablative radio frequency bulk heating for significant non-surgical face rejuvenation results. Dr. Mulholland is considered an expert when it comes to combining Botox Injectable and dermal fillers for facial rejuvenation. Photo rejuvenation Photofacials and fractional resurfacing can also be used to augment and accentuate your results. If your goal is to achieve overall facial rejuvenation, facial shaping, natural anti-aging and non-surgical treatments, then Botox injectable, dermal fillers and laser fractional treatments with Dr. Mulholland and his expert team is your best opportunity. SpaMedica Botox Injectable Nurses Prices in general are charged by the unit. SpaMedica injectable nursing prices start from $8.99 to $12 per unit, depending upon the number of units injected and if there are any SpaMedica specials, deals or promotions. Dr. Mulholland uses Botox Injectable to help patients elevate the brows, corners of the mouth, cheeks, and jawline. It is also very common for Dr. Mulholland to use between 60 and 90 units of Botox injectable during your treatment program. Dr. Mulholland’s pricing starts at $18 per unit for the first 60 units, then drops significantly for any units over 60 units. On average, most patients pay approximately $1,500 for treatment with Dr. Mulholland to shape their brow, cheeks, neck, and face. Dr. Mulholland performs all his injections on his Injection Fridays. His treatments provide outstanding results for his patients. It is common for SpaMedica patients to appear 5-10 years younger with Dr Mulholland’s combination treatment of Volumalift, Soft Lift, Botox Injectable, and laser treatments. What is the SpaMedica $99 Injectable Deal? First time patients can avail of special first-time beneficial pricing opportunities. All units purchased with this promotional special are to be used in the same visit and there’s no banking of units for future use. How to Book My Treatment? To book a consultation with our experts at SpaMedica in Toronto, all you need to do is fill out the online consultation form by clicking the "Schedule A Free Consultation Today" button and filling in the online consultation form. Or you can call 877-712-8367 today. Dr. Mulholland is one of the pioneers of Botox Injectable, soft tissue fillers and other invasive and non-invasive treatments. He has appeared on multiple national television shows in the United States and Canada demonstrating his techniques. He has taught thousands of physicians worldwide his basic and advanced technique of Botox Injectable therapy and remains one of Toronto’s and Canada’s busiest and best injectors.